Emperor penguins are one of the "classic" penguin species that most people immediately bring to mind. 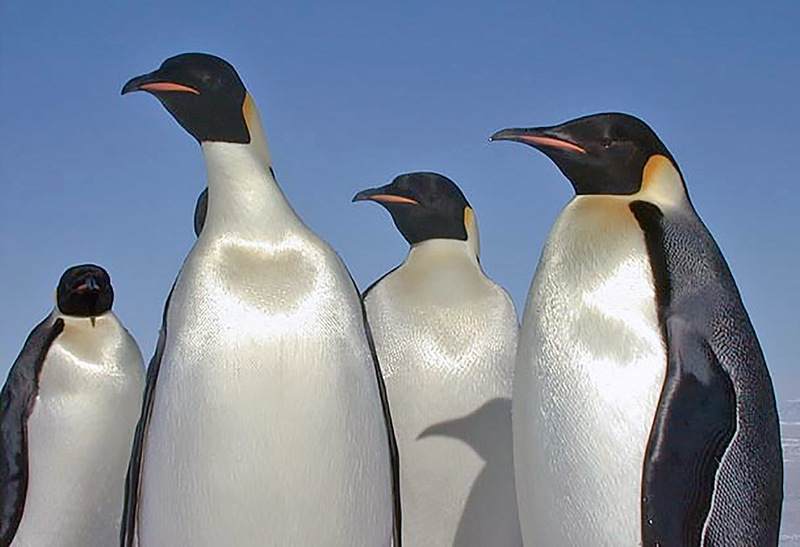 Along with King Penguins and Adelie penguins, they are representative of the whole group. Emperor penguins have the upright and regal bearing that their name suggests. They take the dinner-jacketed formality of all penguins to its highest level and though they are able to be as awkward, gawky and get as dirty as other penguins, when they shake it all off and stand up to regain their dignity, there are few if any more stately and elegant animals on earth.